I’ll make this short and sweet. I hate writing bad reviews. I know how much time and effort goes into writing a book. This book was not for me. Obviously, since I didn’t finish it. I thought the idea was actually really interesting. I was like, ooh, dimension jumping! Evil scientist trying to control all the different dimensions! Sounds like the start of a good sci-fi, right? But there was so little exposition that I felt like I had absolutely no idea who any of the characters really were or what was going on. And it wasn’t because I didn’t understand the science. 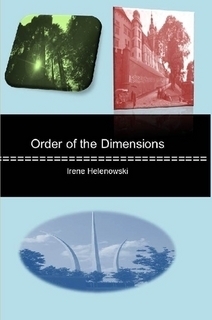 The characters jumped between dimensions where their lives were different in each one. But did they know all the differences? Did they somehow gain the memories of their self in that new dimension when they entered it? Why, if there were doubles of other people in each dimension would there not be doubles of Jane, the main character? I felt like I was more confused by these and other questions than I was in understanding any of the plot. The characters were pretty shallow, and I didn’t really care much about any of them. It didn’t help that you kept jumping dimensions where there were different versions of the characters. Many times they were drastically different. I understood that we were supposed to like Randy, but I didn’t really care about him because we weren’t given much information on him. I really felt the same about most of the characters. Even Zelov. I knew we were supposed to understand that he was evil, but there was also the moments where the author talked about how he loved his daughter and such, which seemed contradictory to me. But again, since we didn’t get much of a picture of any of the characters, there wasn’t much to go on. As I mentioned earlier, I hate that I didn’t even finish this book. I’ve seen some reviews on Good Reads that were very favorable. So, this one wasn’t for me, but obviously other people liked it. If you like sci-fi dimension jumping stories, and don’t feel like you really need to understand HOW it works to enjoy the book, then you’ll probably like this it. Again, I thought the premise was interesting.